Recent Works by featured artists Jerry and Judy Wegenast are on display for the month of July at Blank Canvas Gallery in Park Rapids, MN. Judy’s work has been inspired by the dancers at the Northland Studio of Dance; Jerry’s work highlights the beauty of hickory. The opening reception runs tonight, June 29, from 5-7 p.m. 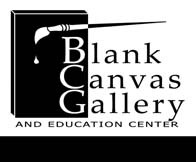 Guest Artists at Blank Canvas Gallery for July include Connie Schindle, White Birch Artists, Jon Offett, Pat Doughty, Nediha Kolakovic, Dennis Krull, and Kelly Sanquist. Blank Canvas Gallery is open 10 a.m. – 5 p.m. Monday through Saturday. 311 Main Avenue South, Park Rapids, MN.